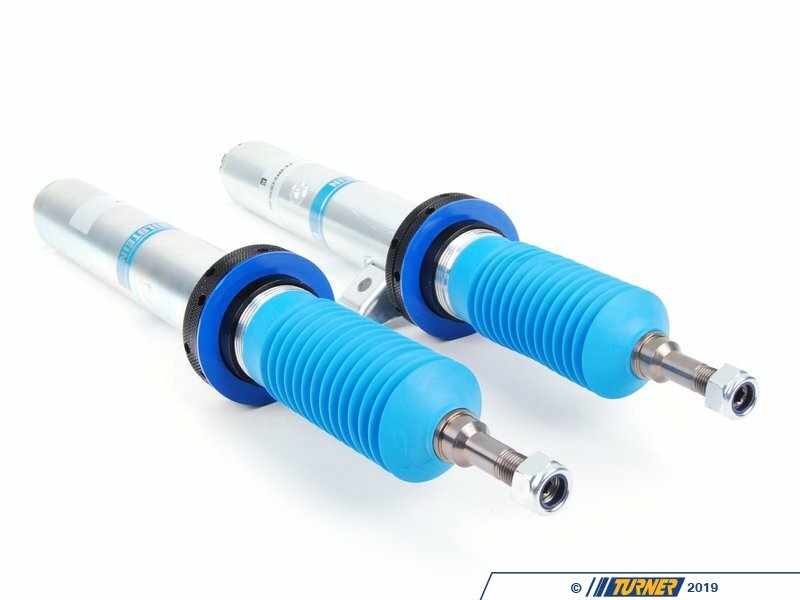 Bilstein's PSS10 coil over system combines adjustable monotube shock damper technology with front and rear height adjustments to give you everything you need in one package. 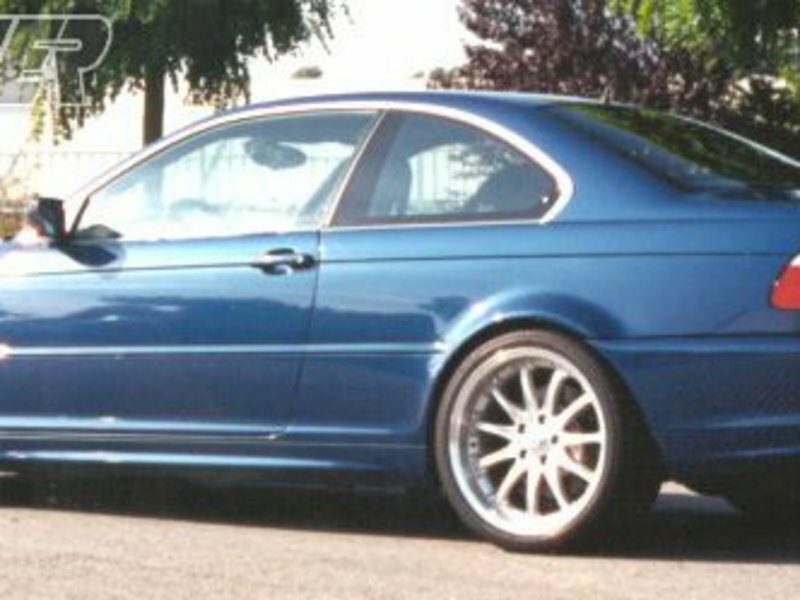 The E46 PSS10 kit is one of the most impressive suspensions on the market for performance and quality. Bilstein has engineered this kit to be functional and specific to the E46 chassis and not overloaded with features and bullet points that you'll never use. With the PSS10 you get 10 damper settings with meaningful differences between clicks, ride height adjustment, TUV certified quality and performance, a limited lifetime warranty, and easy fitment with stock mounts and links. 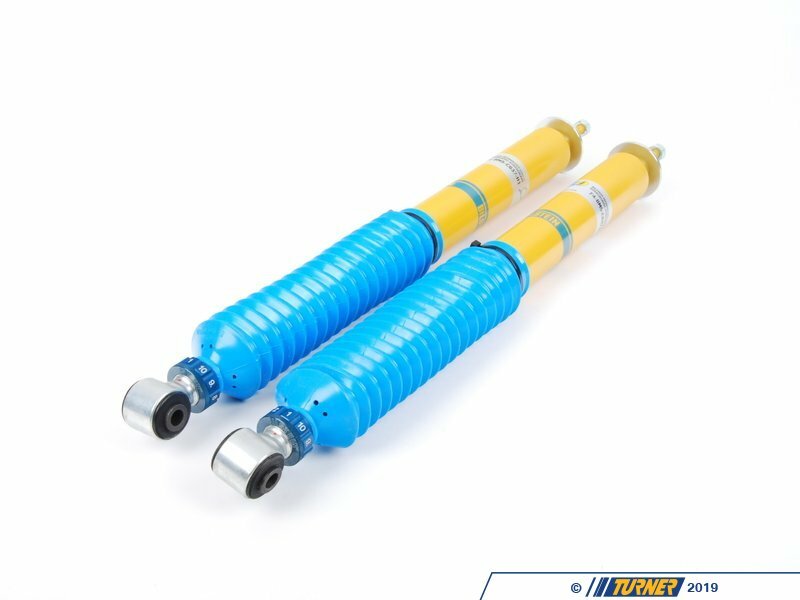 Bilstein PSS10 dampers feature their latest monotube design - a single large piston that performs better and lasts longer than other twin-tube designs. 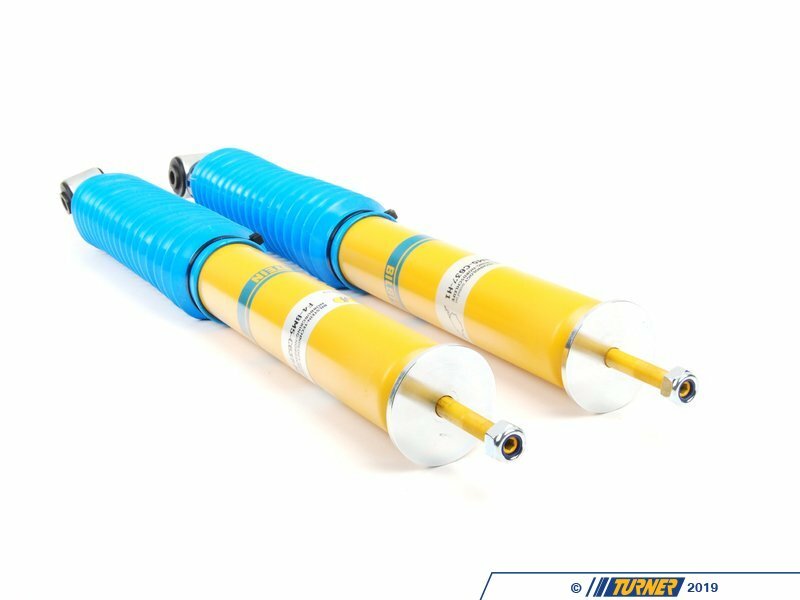 They also use a patented digressive valving system that helps give their shocks a better ride at any shock setting compared to competitor's progressive shocks. The PSS10 features 10 useful damper positions for rebound and compression - not hundreds of settings that you don't need or will never use. The settings range from 10 (softest) to 1 (stiffest) with meaningful variations between settings. 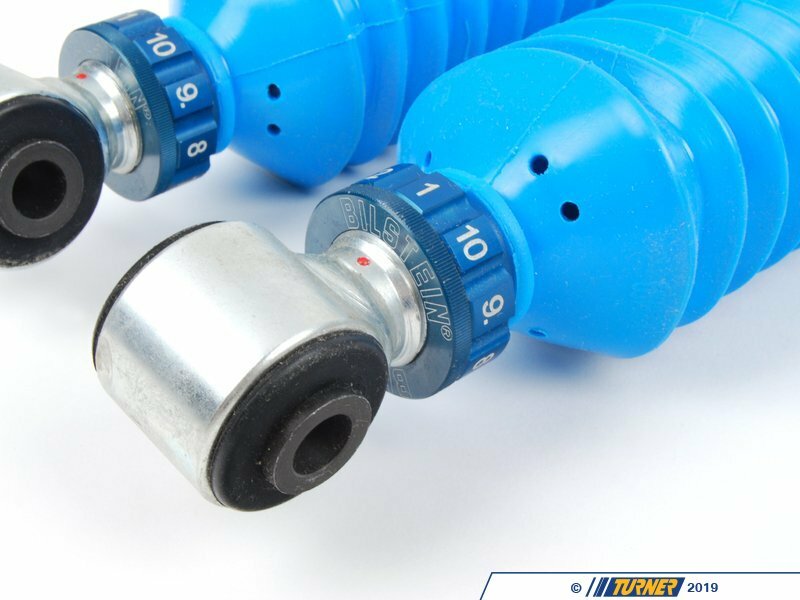 This allows you to easily find a shock stiffness that best suits your driving environment and less wasted time trying separate adjustments and getting nowhere. 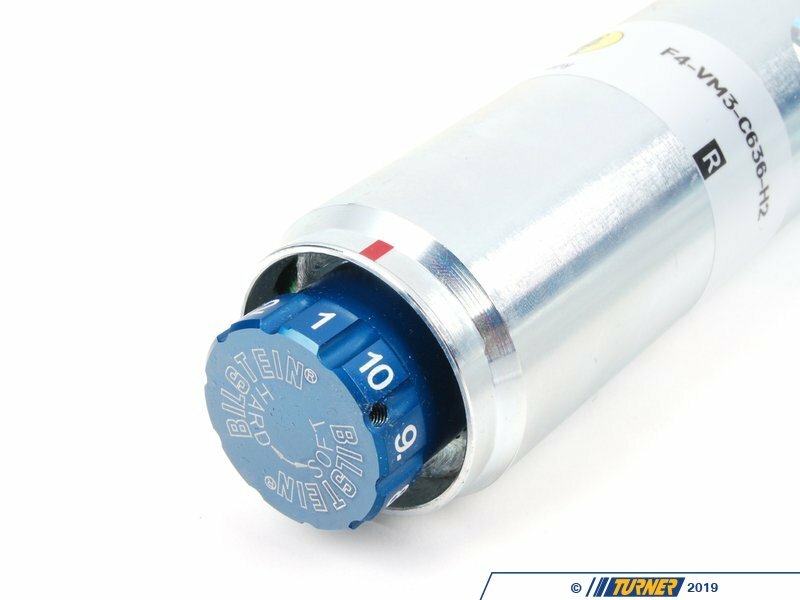 The Bilstein PSS10 settings follow damper graphs and plots determined from their years of German performance tuning, including testing on the famed Nurburgring and Autobahn. 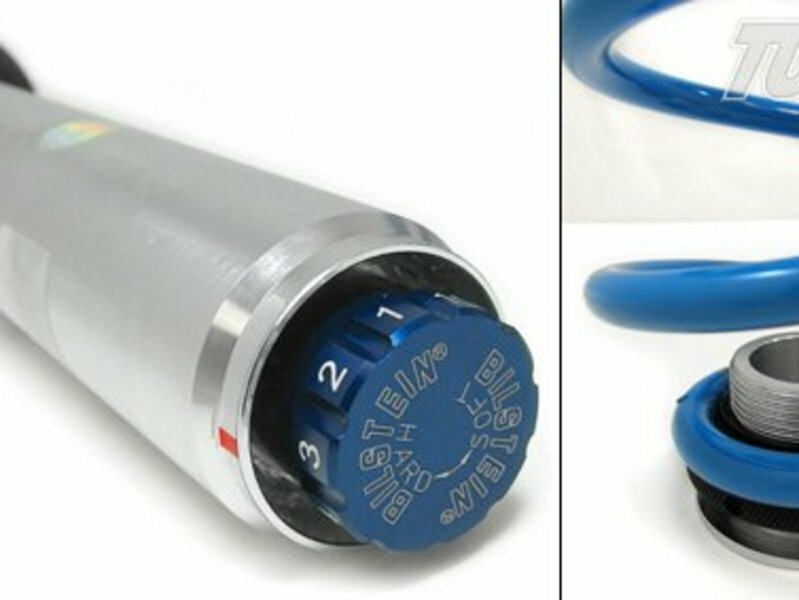 Each setting is selected from a super-large knob at the bottom of each strut and shock - easily accessible from underneath the car. 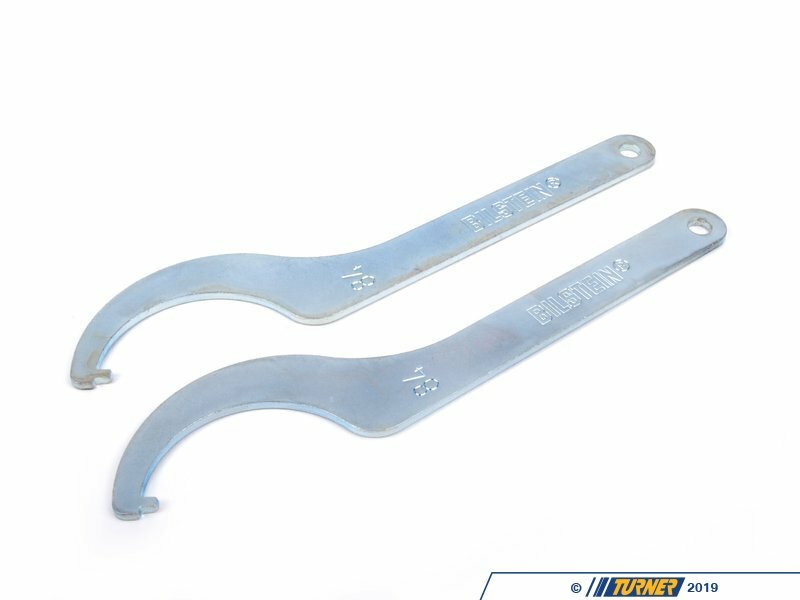 Each front strut is zinc coated for excellent wear resistance. 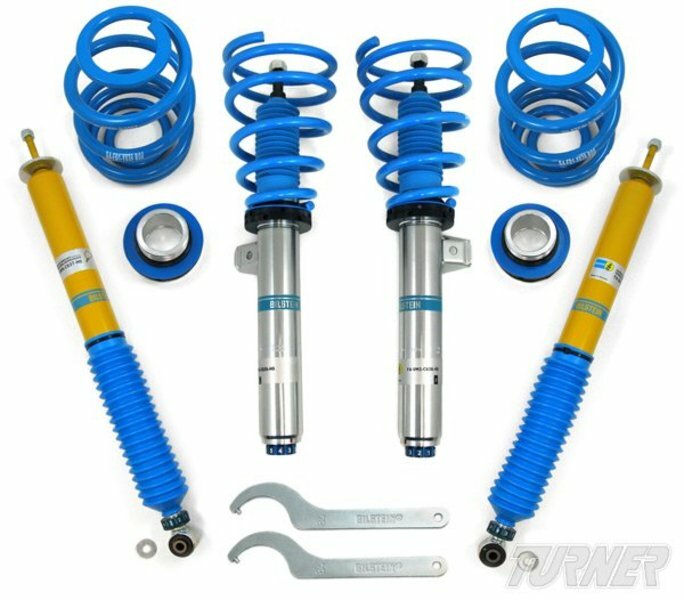 This kit is designed to lower the car between 1.0" and 1.75" from the original stock, non-sport package suspension. This allows you to set your ride height to suit your personal tastes, lower the center of gravity and roll center, and for a more aggressive appearance. 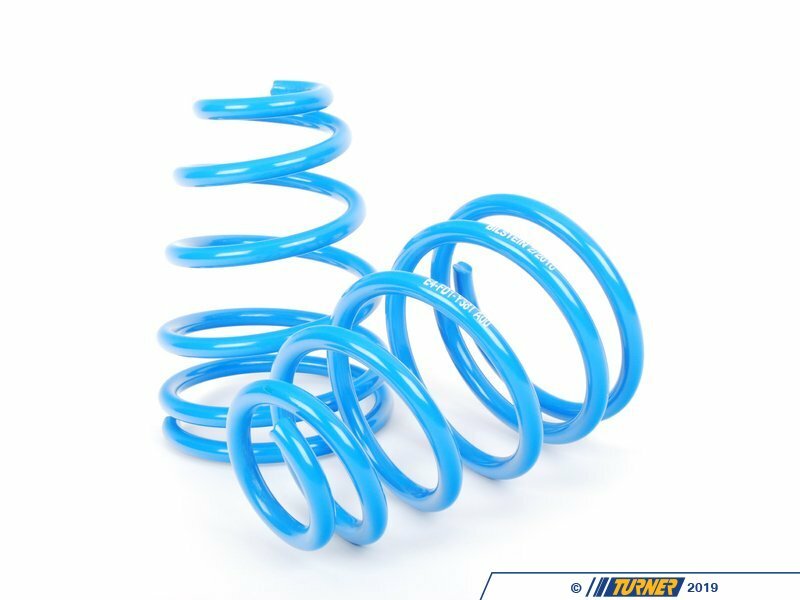 Bilstein supplies springs with a front progressiverate of 400lb and a rear progressive rate of 455lb. The progressive rate means the spring starts its compression at a softer rate but will quickly stiffen as the spring is compressed. This is ideal for street driving as the ride stays compliant over daily bumps and impacts while stiffening for more extreme cornering. Each spring is a 60mm ID so some hardware is already in place for a change to different springs. Front height adjustment is made via the perches on the coil over strut. The reat height is made from an adjustable perch mounted on top of the spring. The stock upper front strut mounts, rear upper shock mounts, and stock front sway bar links are used for installation. This keeps the cost low and installation easy! And it means replacement parts are easily obtained from multiple suppliers (not a kit-specific part that will be hard to source). 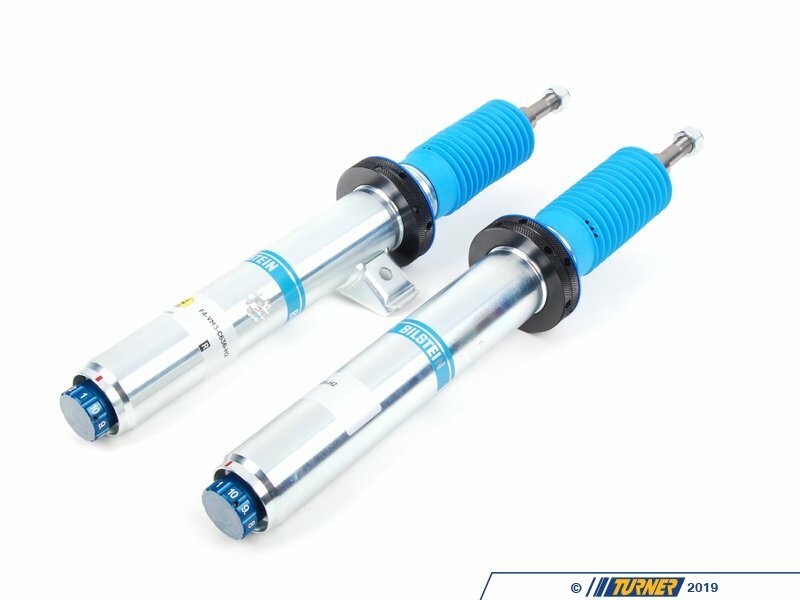 The Bilstein PSS10 kit remains one of our favorite suspensions for an E46 simply because it works so well as an over-achieving street suspension. 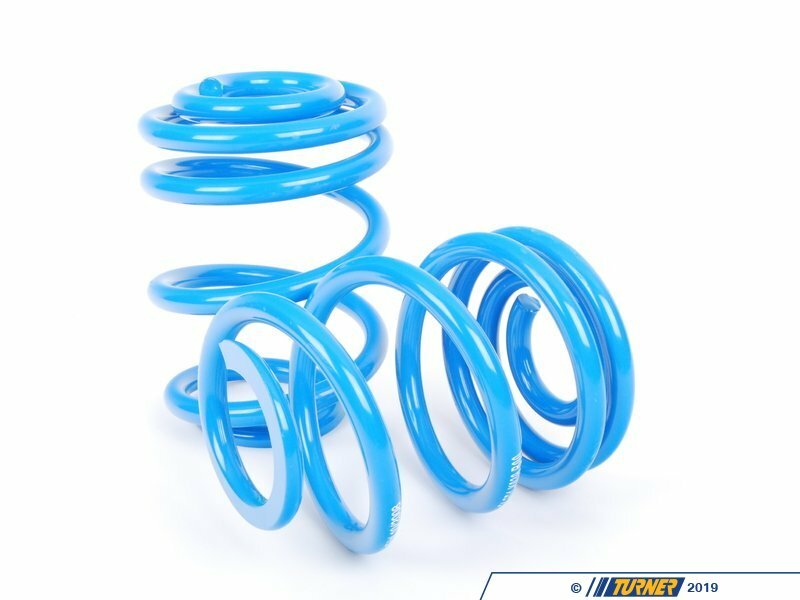 It's engineering greatly surpasses a regular shock/spring package and the quality surpasses many of the other aftermarket performance coil overs we see. 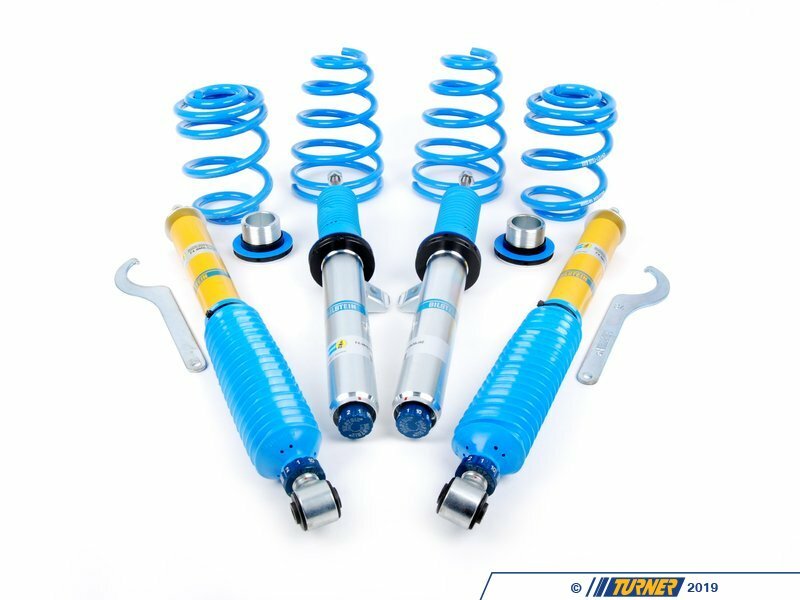 This is our #1 choice for our customers who want a capable street suspension.